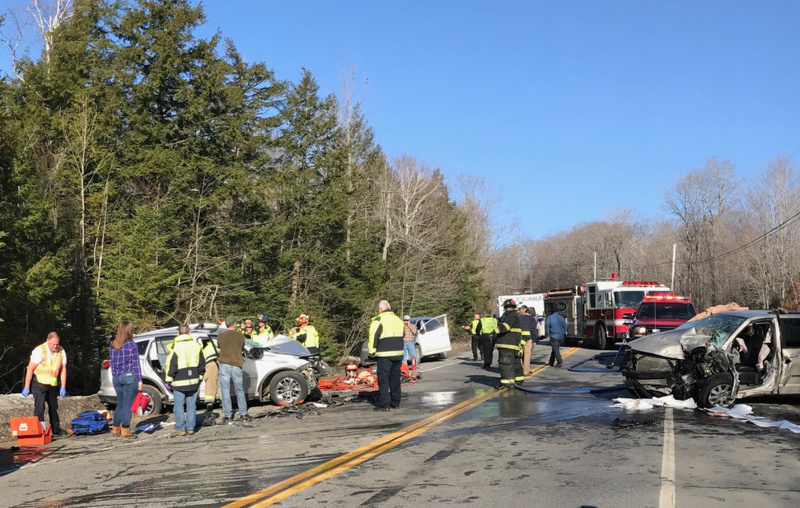 Route 137, also known as China Road, was shut down as crews extricated one driver, who was taken by LifeFlight helicopter to the hospital with injuries described as serious but non-life threatening. 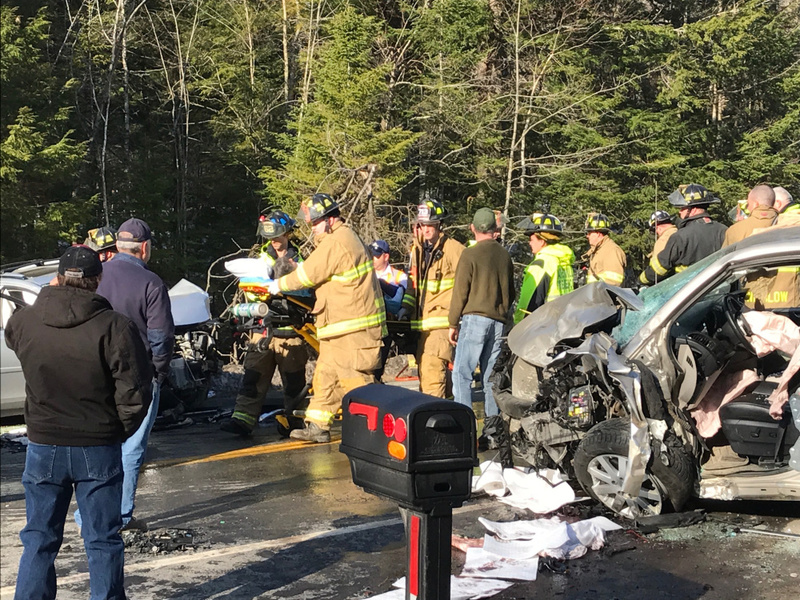 WINSLOW — A Waterville woman was seriously injured and taken to a hospital by LifeFlight helicopter following a head-on crash on Route 137 Monday morning that shut down the busy road for about an hour and a half. 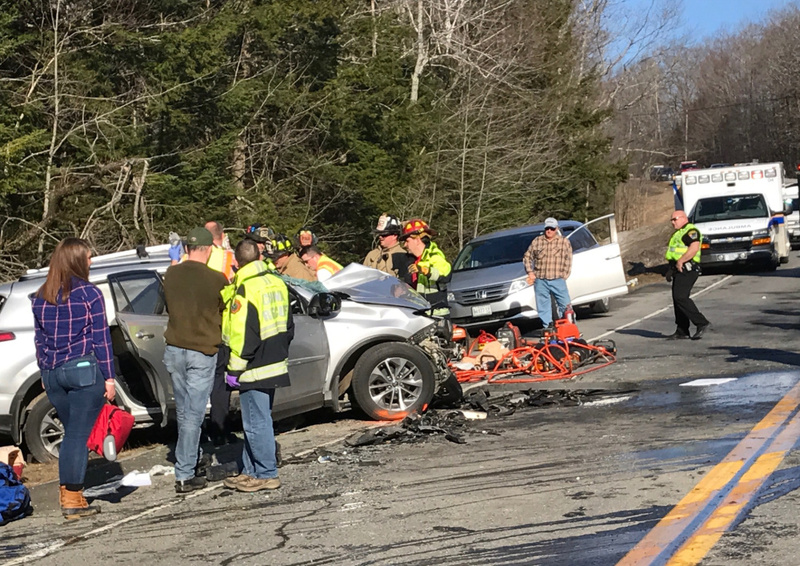 The crash happened at about 7:45 a.m. at 1310 China Road, according to Winslow Police Chief Shawn O’Leary. That portion of the road was shut down to vehicle traffic, which was detoured around the scene onto Morill, Abbott and Nowell roads. 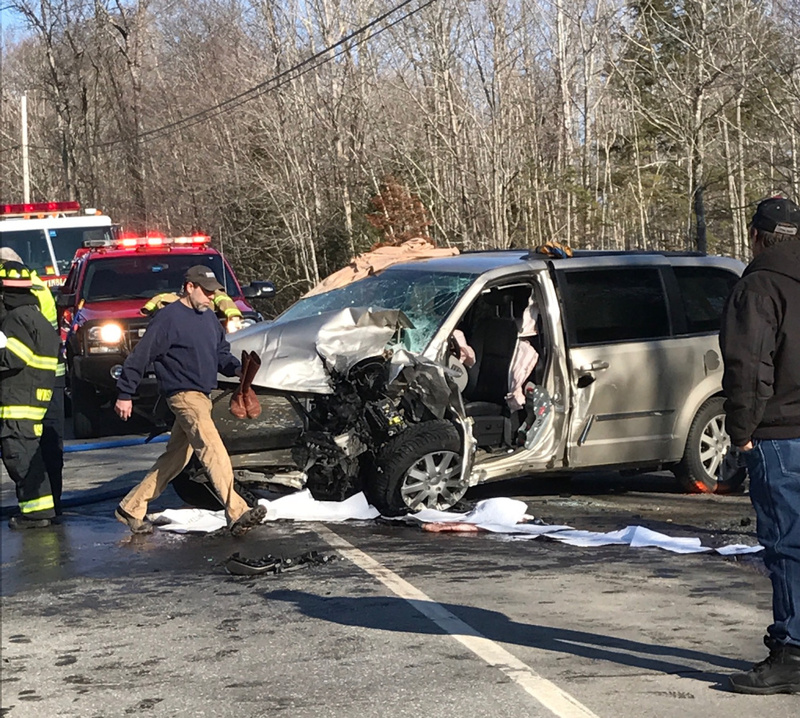 O’Leary said Toni Cavanaugh, 47, was driving a Toyota RAV4 sport utility vehicle east when she crossed the centerline for an unknown reason and struck a 2014 Chrysler Town & Country minivan head-on driven by Danielle French, 38, of China, who was heading west. The speed limit on the road is 50 mph. Each woman was the only occupant in their vehicles, O’Leary said. Cavanaugh and French were trapped in their vehicles and had to be extricated by emergency responders. Cavanaugh was taken by ambulance to the head of China Lake, where she was then taken by LifeFlight to Central Maine Medical Center in Lewiston with injuries that were described as serious but non-life threatening. The Lewiston hospital said later Monday it had no information on Cavanaugh still being a patient there. French was taken by Delta Ambulance to MaineGeneral Medical Center and was reported to be in stable condition, also with non-life threatening injuries. MaineGeneral spokeswoman Joy McKenna said French was treated and released Monday. 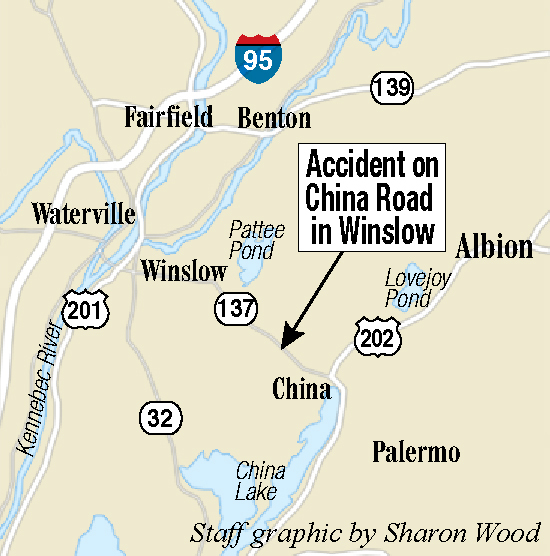 Winslow and China fire departments responded to the crash scene, as did Delta Ambulance. Winslow police are still investigating the crash. O’Leary said that police heavily patrol China Road because of the number of crashes and cases of speeding.